Read A Summer Salute To Sciatica by Dr. Paul Miller to learn more about Advanced Chiropractic and our Chiropractic office in Spokane, WA. The summer season is in full swing! As we are enjoying the warm weather, barbecues and the excitement of long awaited vacations, are you feeling red with anger, white with pain, and emotionally blue with being park-benched with low back and leg pain? Your sciatic nerve is the longest and widest nerve in your body, and runs from the lower back, down through the buttock, and all the way into the lower leg, where it controls the muscles in that area. It provides sensation to the thighs, legs, and the soles of the feet. When the sciatic nerve becomes irritated, it causes pain. This painful condition is known as sciatica. In demographic studies, it most often affects persons thirty to fifty years old and is most commonly a result of general wear and tear, rather than an injury. The most prominent symptom that you are suffering sciatic pain is when it follows the route of the sciatic nerve, as previously described, and typically appears only on one side of the body. However, there are variations in how exactly that pain is felt, including tingling, aching, burning, or pins and needles. The feeling depends on where the sciatic nerve is being affected. Some patients may also feel pins-and-needles in the toes or foot or muscle numbness/weakness in the affected leg or foot. More often than not, sciatica first manifests slowly, then increases in intensity, often being accentuated after sitting or bending, or sudden movements such as sneezing or coughing. To find out if you have sciatica start with a visit to our office. A Chiropractor or one of their expert team members will begin by first taking a complete patient history. Your descriptions of where the pain is, the pain or irritating feeling associated with the pain, when it started, and which activities cause you most pain, are all important in helping to form a diagnosis. It is also necessary to undergo a physical and neurological examination, with a particular focus on your spine and legs. Your ability to perform certain activities will be monitored to assess your sensory strength, muscle strength, and reflexes, and any pain resulting from these activities. Diagnostic imaging, such as X-ray, MRI, or CT scan may be recommended if it is in their expert opinion there may be more involved, such as a severe underlying problem. Conservative care, including chiropractic treatment, is a very effective solution for most people suffering sciatic pain. 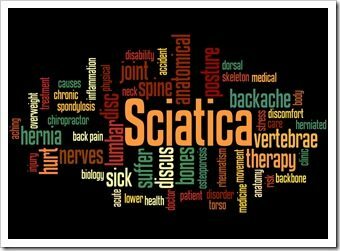 As there is an array of possible causes of sciatica, treatment plans will be individually tailored depending on what the practitioner finds in your particular case. Conservative, non-surgical care, may also include one or the combination of spinal manipulation and adjustments, the application of ice/heat therapy, ultrasound, use of a TENS machine, rehabilitative exercises, or spinal decompression. Ready To Be A Winning Force In Your Healthcare! Join our winning healthcare team. We know just how important it is to provide our patients with balanced, healthy bodies. Each situation is unique, so we take pride in providing you with innovative solutions for your unique healthcare needs. If you have any questions about your health or better sustainable healthcare solutions, call and make an appointment today! This entry was posted on Thursday, July 6th, 2017 at 8:01 am and is filed under Health Articles. You can follow any responses to this entry through the RSS 2.0	feed. You can skip to the end and leave a response. Pinging is currently not allowed.